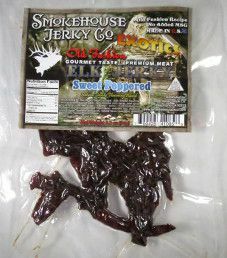 The next review on Smokehouse Jerky Co. will focus on a 3.2 ounce/91 gram bag of their sweet bell peppered elk jerky flavor. 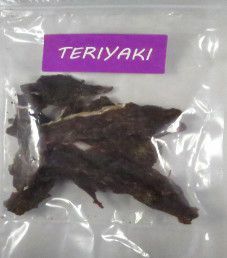 This jerky was graciously submitted for review by the owner, Trent Levinson. 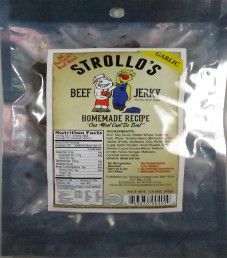 The first review on Game Day Snacks will be on a 3 ounce/56 gram bag of their sweet barbecue flavored steak snacks. 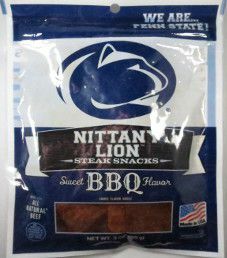 This particular bag is for the Nittany Lion, the mascot for Penn State University. 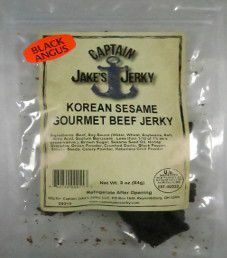 This bag was kindly submitted for review by the Scenic City Snacks team.